Morning Briefing: Does your law firm need a ping pong table? 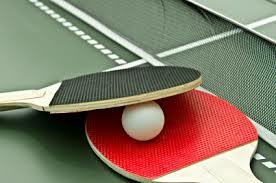 Does your law firm have a ping pong table? Law firm offices are not always the most inviting places either for clients or their lawyers but it seems that times are changing. On a recent tour of 16 top law firms Colin Scarlett of real estate firm Colliers International discovered how law firms are evolving their business and their offices. Among the most prevalent trends; open layouts, most popular in Australia and the UK encouraging greater collaboration; ‘play areas’ to make working hours more enticing such as a ping pong table and a pizza oven; and greater ability for lawyers to balance work and life such as home-working solutions. Some firms are adding a touch of hotel-style glamour to the client experience with concierge services replacing the traditional receptionist. There is also a focus on the physical location of the law firm with some choosing to relocate to prestigious addresses to create a buzz. Scarlett says that smart law firms are using their offices to claim and reclaim their place in the market. The recently founded London IP practice of Cooley has a new patent team. David Wraige, Jacqueline Ireland and Daniel Sellwood have joined the law firm to launch the new practice. All three were previously with Mintz Levin. US law firm Simpson Thacher & Bartlett LLP is being sued along with bank JP Morgan Chase over a US$1.5 billion loan made to vehicle manufacturer General Motors before its bankruptcy. Bloomberg reports that The Employees’ Retirement System of the City of Montgomery has filed a class action against the bank claiming gross negligence and against the law firm claiming malpractice; for missing a mistake on the security interest on the loan. The contract for the loan was originally prepared by Mayer Brown but that law firm has not been named in the litigation.